Why am I taking this road trip with my dogs for 2 ½ months across America to all 16 US U2 shows? How can I afford this? How do I have the time to do it? These are some of the questions I have been asked over the past year, ever since I have been planning this. It all started the beginning of last April when I saw 10MPH, but really it started before that when I quit my job in the summer of 2009. But my whole quest of pursuing my passion and following my bliss really started in July 2008 when I quit my well paying stable job in Maryland and moved to Memphis just because I love Memphis, even though I was leaving my family and friends and taking a less paying less stable job. I liked my job well enough in Memphis, but it wasn’t leading anywhere, it wasn’t making me much money, and it wasn’t what I really wanted to do. I had enough in my savings from the sale of my house in Baltimore to last me a couple of years, so I thought why not quit and do what I want to do while I am still able to do it. So I quit and decided to make a list of all the places I had always wanted to visit but never had. And every other day or so I would visit a place and check it off my list. Sometimes it was a local site like the Dixon Gallery and Gardens here in Memphis, sometimes it was a day trip like the Clinton Presidential Library in Little Rock and sometimes it was a weekend trip like to Biloxi. 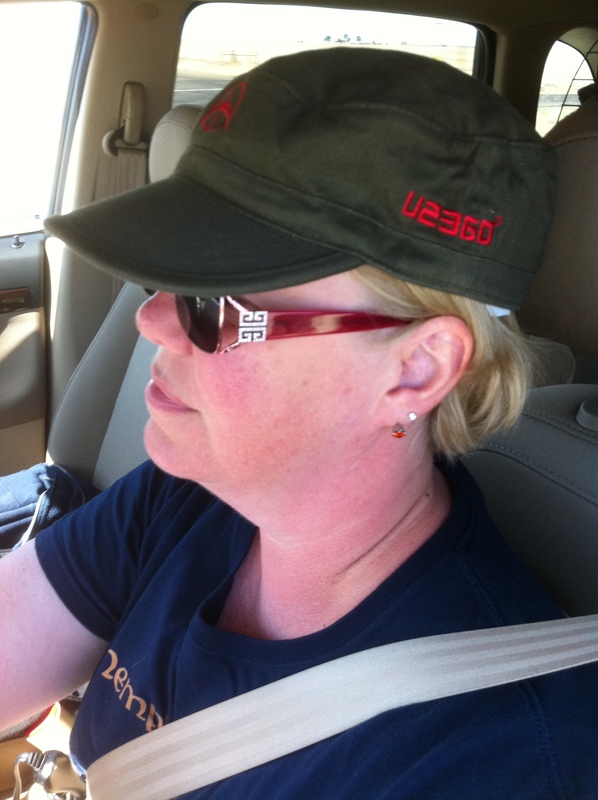 And in the Fall of 2009, it was a 12-day road trip on the U2 360 Tour. In the beginning of April 2010, I saw a documentary called 10MPH by Hunter Weeks that inspired me, and made me feel a little less crazy about my decision. Hunter and his friends quit their corporate jobs to pursue their passion of making documentaries. For their first documentary 10MPH, they filmed their travels across America on segways. It was a huge risk, financially and otherwise. It was mentioned in the film that life is too short not to take these risks and adventures when they arise. For me, the risk was quitting my job and the adventure that arose was the U2 360 Tour. I decided to go to every US U2 show and see as much of America along the way as I could. A month later, the U2 tour was postponed until 2011. That brings me to the present. 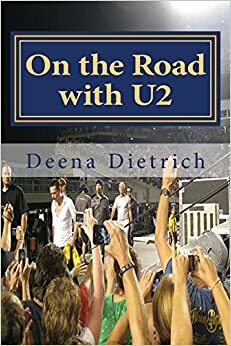 I still don’t have a job (although I have worked a couple here and there) and barely enough money to cover my expenses, but in 52 days, I will finally embark on my 2 ½ month road trip across America to all 16 US U2 shows – documenting my journey in writing for a book and on film for a documentary. I leave Memphis May 16 for Mount Rushmore (stopping in Omaha on the way), then to Denver (1st U2 show and home of my favorite football team), Salt Lake City (U2 show), Reno, Portland, Seattle (U2 show), Eugene, Oakland (U2 show), San Francisco, Palm Springs, Hollywood, Anaheim (U2 show), stopping New Mexico and Memphis on my 3 day drive from California to Maryland, Baltimore (U2 show), East Lansing (U2 show), Miami (U2 show), Nashville (U2 show), Chicago (U2 show), Milwaukee (Summerfest music festival), Canton Ohio (Football Hall of Fame), Philadelphia (U2 show), Columbus Ohio for the night, St Louis (U2 show), Columbus Ohio for the night, East Rutherford New Jersey (U2 show), Toledo Ohio for the night, Minneapolis (U2 show), Rockford Illinois for the night, Pittsburgh (U2 show). I want to visit the sites in each city that make that city unique. Also, I want visit all the major league baseball stadiums and go to all the U2 pre concert parties. I already have plans to attend U2 pre concert parties with U2 tribute bands in Denver, Seattle, East Lansing, Nashville and Baltimore. Hopefully there will be more. My time with U2 ends on July 26th in Pittsburgh. I am really hoping that pursuing my passion this summer will lead to a job, so that’s it’s not really a job at all – it is getting paid for what I love to do! You have to follow your dreams, and if that means taking some risks along the way, then so be it. That’s how my my husband, kids and I ended up moving 3000 miles from the UK to Canada. I think all our family thought we were taking a HUGE risk, but we knew this was a dream we had to try and follow, and it paid off for us. Enjoy every minute of your travels, I am very excited to be following your blog, and maybe seeing you in Miami!! Thank you Julia! I really appreciate your support! See you in Miami!